Strate > The Strate Blog > Interaction Design > Graphic Design is Dead! Here’s How to Move On. Graphic design has died and the world is moving on. There! We said it. Thanks to templates and filters, Graphic Designers are no longer in high demand. Jobs that were once exclusive to a select few talented and innovative individuals have now been saturated to the point of nausea. Originality has been replaced by Similarity. Everyone wants to do what someone else is doing or has done successfully. Innovation and creativity, the foundations of Graphic Design, take time to materialize. And nowadays no one has time. To understand why Graphic Design is dead, you have to first know what a Graphic Designer actually does. The primary role of a Graphic Designer is to assimilate ideas and thoughts and represent them visually. Tools such as Photoshop, Illustrator, Dreamweaver, InDesign, Inkscape, GIMP, etc. are the staple of many designers. Common areas where Graphic Designers usually huddle include logos and branding, editorial design, web design, packaging, signage, and sometimes, a bit of UI/UX. The problem is that most of these jobs are already being automated, though not completely. Artificial Intelligence has evolved to the point of understanding user needs and providing a satisfactory output. Templates and applications for creating logos, websites, landing pages, posters, blogs, brochures, banners, etc. are all available online for free. You can pay a premium and get a better and unique design with a quite nominal fee. Additionally, it isn’t difficult to take up a short-term Graphic Design course or certification, become a “Graphic Designer” (which would actually be someone who knows how to use graphic design software but does not really understand its complexity), and start selling your services online, which is what most people do these days. You can now find self-declared “Graphic Designers” at every nook and corner of your neighbourhood. And the designs most of these “professionals” churn out are less than desirable. Moreover, you can now buy templates, and IA generated logos and posters for cheap. If you fill a 15-question form about your company, you’ll get 25 propositions instantaneously for less than US$ 25. Now, many will argue that organizations still require professional Graphic Designers. True! Conglomerates such as Apple, BBC, BP, Accenture, etc. invest millions for even a small change in their logo. For instance, Pepsi paid a whopping US$ 1 million for the redesign of their logo. The new logo incorporated the brand’s values of movement and growth and looking towards the future. It gave the brand a whole new identity without compromising its older one. To achieve this, they hired a Brand Identity Design company who took into consideration not only the logo but everything that the company represents. Thus, 1 million was not the cost of the logo, but the company’s Brand Identity. This wouldn’t have been possible if they’d simply hired any Graphic Designer. We can, therefore, imagine that simply regenerating the logo will easily cost a few tens of lakhs. Graphic Design has died. Yes. But it has risen from the ashes in a new avatar. Today’s Graphic Designers do not design only logos and brochures; they design user environments and brand identities. Thus, what the industry needs now is not more Graphic Designers; it’s Interaction Designers and Identity Designers. It needs designers who will push the physical and virtual boundaries of user experience. Interaction Design is all about digging into the minds of users and understanding what they need and how they will react. Interaction Design involves user experience. It takes information from users and customizes it to suit their temperament and tastes. By observing user behaviour and their journey, Interaction Designers are able to create interactive products that simplify a user’s experience. Most interactions today involve a screen-based interface, with some already including VR, AR, gesture and voice recognition, holograms, and much more. The main goal of Interaction Design is to ensure users accomplish a task in the least amount of steps, leading to great user experience. Identity Design captures the essence of a brand via products, visuals, catalogues, brochures, logos, videos, sounds and jingles, websites, stores, uniforms, etc. The design encompasses the message of the brand and helps communicate with its customers. The identity of the brand is essentially the first point of contact between the brand and its target audience. Identity Designers build stories around this identity. They ensure the essence of the brand is captured and its message is delivered accurately through all available media. Organizations, large and small, are including design at every level of their strategy. They are conceiving their products and services to suit their customers’ needs. Careers in Interaction Design and Identity Design sound similar to Graphic Design. They include UI/UX design, web design, software engineering, functional analysis, art direction, animation, production art, typography, type design, branding, logo design, illustrations, graphic design, photography, and many more. However, the role that these designers play is far deeper and highly complex. They are decision-makers who adapt to changes in technology, user behaviour, and trends and integrate them into the company’s products and services. They are powerhouses who design strategies rather than the products themselves. While Graphic Design has been done with and dusted under the rug, Graphic Designers need not fret. They have to accrue skills that cannot be taught but rather imbibed from the industry. Understanding how to create a line of communication between users and machines is what will enable them to survive in this industry. Graphic Design deals with knowing a specific skill. It does not evolve with every iteration. Whereas Interaction and Identity Design evolve with time, based on user and market inputs. Such designers are more than just simple Graphic Designers; they are theorists, researchers, artists, philosophers, scientists, and programmers. 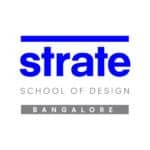 Strate School of Design, Bangalore offers a comprehensive Interaction Design course that covers everything in Interaction Design, from ideation to implementation. It includes 2D and 3D techniques, HTML/CSS, Ergonomy, Virtual Reality, Augmented Reality, VFX, IoT, and many more. You will understand how UI/UX has evolved over the years and work towards creating superior user experiences. And this is exactly what the industry is looking for – designers who take ownership of the complete process of design. Start your journey by filling the enquiry form.